To make a stress free property purchase with ease, the Spanish Legal System must be adhered to fully. It is essential to have the support of Expert Agents from the very beginning, who will enable you to proceed successfully, avoiding failures and disappointment. 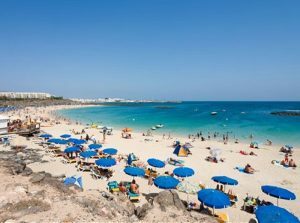 When it comes to investing your money in Real Estate on Lanzarote or Fuerteventura, here are some basic steps, as a guide, to help you understand the process, some may vary depending on agreements and circumstances of the sale. Once we have found you the perfect property to suit your needs, we will negotiate the purchase process on your behalf. Idolo Real Estate will research the legal situation of the property, verifying the legal titles within the registry office, to ensure, for example, that the Title is free of debt or charges. Once both parties have agreed to the conditions of sale, the next step is to sign a private sales agreement and pay the deposit, usually 10% of the purchase price. These funds are held, until completion, in our client account or with the Lawyer. The remainder of the purchase price is paid upon signing at the Notary. We take great care to ensure everything is prepared in advance and accompany you throughout the stages of buying your home. Following the Notary appointment, we will register the Title in the Land Registry Office, arrange the tax payments, ensure all paperwork is finalized and anything else you may need our help with.